Much of my life has been a musical. I grew up in East Texas as “a Lansdale,” and from an early age was surrounded by art, music, writing, you name it. I've been asked since I can remember what it was like growing up Lansdale, having a famous daddy and all that entails. To most people's disappointment, I had a normal childhood. Normal being that I had two parents who loved me, a brother, and any pet that I could take home within a twenty-mile radius. I guess certain aspects wouldn't be considered typical. The art we had hanging on the walls was not that of Rockwell, but of skeletons and cemeteries. The house guests we hosted were directors, actors, and all sorts of folks, rather than cousin Tilly. I don't recall ever thinking anything was out of the ordinary or what it all really meant until I got a little older. As time has passed, I realize the impact my father has had on literature and his readers, and it’s nice to be a part of that legacy. Also, his hard work and following helped in the early stages of forming my own career. Although I do read a lot, I was always a fan of music. My earliest memories are of me singing and dancing around the fireplace to REBA'S GREATEST HITS 2 with the family German Shepherd in tow behind me, and listening to the Contours singing DO YOU LOVE ME with my dad in the hallway. I was always the kid in the neighborhood who was writing, directing, starring in plays, and dabbling in songwriting as a child. When asked what I was gonna be when I grew up, the first answer I ever gave was “dazzling.” I felt a passion and a fire inside me since I was born. I knew singing was my first and truest love, and somehow, I was gonna do something with that, and I hoped, something big. My first gig came about by accident. I had graduated high school and come to the realization that the labels weren’t going to be beating down my door, so I thought I had better do something to get this ball rolling. I put up flyers and spread the word for my need of a guitarist. I got a call from a guy who had seen my add in the local music store, and we met, and he played for me for a few gigs, but he was a lead man, and I needed a rhythm player. A friend of mine worked with a woman who had once dated a guy who played… (Let that process.) I got his number and called him up, told him what I was up to and his response was that he wanted no part of it, that he had done the band thing and he was out. I told him meet with me, to give me 15 minutes, and I was sure he would change his mind. Reluctantly, he said he would later in the week. Few days later, I was with my current guitarist, the lead man, and he and I were practicing a few songs at my house and we took a break and walked down to the mailbox. Down at the pool some of my neighbors were having a party of sorts, maybe more a gathering, and a man approached me and told me he was Danny, and I had called him. I had no idea what he was talking about. 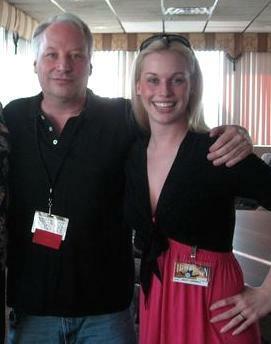 Turns out, the guitarist I had spoken to, and asked to just meet me, just hear me sing, he was my next door neighbor. True story. By the end of that week, we were all down at the pool hanging out, his guitar in hand, me singing a song here and there, and one of the other neighbors offered us a gig. Turns out he was new in town, and had just bought Banita Creek Hall. That’s how it started “officially.” I had sat in other people’s gigs, and played with tracks at a few places, or at the high school show, but this was money promised, and hopefully an audience. Maybe I was too optimistic. We spent the first couple months playing at Banita, applauding for each other, and generally garnering no more attention than a fly you swat at bothering you on your otherwise lovely picnic. Eventually though, people started really listening. I also had a call from my father who was teaching a short course at the college for screenwriting during this time about a student in his class who played keyboard. Nothing more impressive to someone than your daddy talking you up and saying how good you are. Needless to say, Chris, the keyboard player, did not have high hopes. We met out of courtesy and turns out we were both wrong. We held an audition that night, he called his friend Bill the bassist, who in turned called his friend Jeff the drummer, and a band was born. Kasey Lansdale and the Daletones. 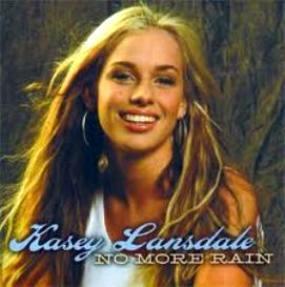 These days it is just Kasey Lansdale. I got real lucky with all this. When people started paying attention, they started talking, then other people called and more word of mouth spread, and I started booking regularly. As time passed, I started going to Nashville and now the band rotates, but I always call these guys first. I learned a lot, and had a real legit band first crack out the box. Never had to go through the trials most people do when starting a band. It all came about pretty easy and I got more than I deserved from it early on. I just kept learning and talking to people, and soon realized that most people will do whatever they can to help someone who is helping themselves. I am proud to say that I have lived my life this way ever since, and have had so many amazing experiences, that I couldn’t even begin to list them all. Singing has taken me all over the world, and introduced me to some amazing people. I’ve gotten to do all sorts of things that I feel lucky for every day. I’ve played festivals, arenas, bars, weddings, theaters, had my music on TV, radio, film....and I wake up each day hoping that it continues and that someone isn’t gonna give me a good shake and tell me to wake up and quit daydreaming. 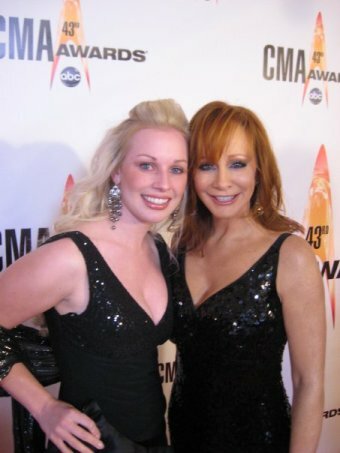 I recently attended the CMA and BMI Awards and met my Idol, Reba. That was a life-changing moment, and gave me a little sense of “I have arrived.” I of course am only at the gate, and I still have to get through security, but by golly, I made it. I feel like Dorothy walking that yellow brick road and I have made it to the hot air balloon. Sticking with this analogy, that tells you how much I have got to still do, but it feels good. The good news is, upon meeting Reba, I played it very cool, if cool is meeting someone and bursting into the ugly cry. Currently, I am recording and writing for my first “real” album. I had recorded an album years ago, and it was a trial and error venture. I wrote a lot for it, but I was experimenting with so many things, my sound, my “brand,” my overall package as an entertainer. I’ve since done two EP’s and the last one sorta segued into the upcoming CD. As this album has developed I have been so lucky to work with the caliber of people that I have. Half the project is produced by Mike Clute, who in his own right had a lot to do with Faith Hill’s early career, and still works with Diamond Rio and some other acts, the other half with Grammy nominated hitmaker, Derek George of Wide Open Music Group. I took some outside cuts for this project, and have been writing for it as well. They say you keep writing and listening to songs until the day you go in, constantly trying to top the songs you already have. This new album I am working on, I am really excited about! I feel it really reflects me as an artist, and I know my team is going to do great things with it. Those are the good things, but some things aren’t as nice as others. 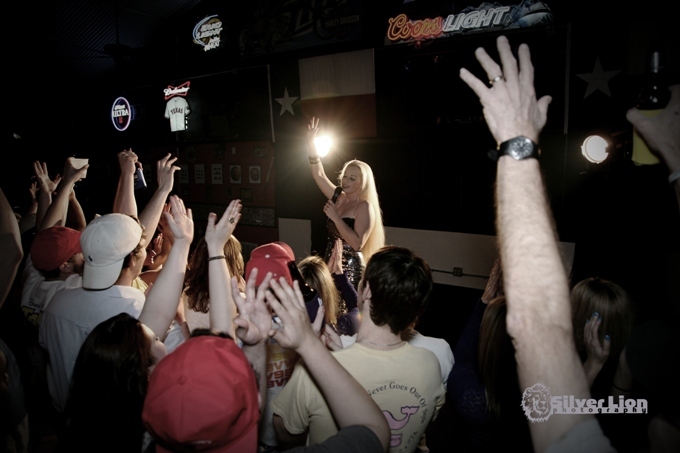 Being a singer is so much more than just getting up on a stage and belting out some tunes. When you’re little, you don’t think much about it. You think you will just perform your songs, people will love them or not, and your hard work will pay off. Unfortunately, it doesn’t always work like that, especially these days when the music business, (and so many other creative businesses) are in such financial hardship. Every day I hear of layoffs and mergers of labels. It’s a scary thing on one hand, but a lot of people look at this as an opportunity to go the independent route. That I think is up to the individual artist. Being an artist is about presenting yourself as a product, or a brand if you will. I never thought of myself as a brand, (nor did I hear the words “let it happen organically”) as much as I did when I moved to Nashville. One thing to know is: it’s not always about talent, but having talent sure doesn’t hurt. People ask me sometimes if what I do is hard. The answer is yes. But I will tell you it’s not hard like other jobs I have had. I was lucky in that I never had to worry where my next meal was coming from, but I did the waitressing thing, the retail thing, and odd jobs here and there, and those were no fun. So sure, there are obstacles in what I do, naysayers, and disappointments, but it sure beats having to do a job you hate. Being a singer is more than just showing up at the gig, though. People don’t think about all the little details that go along with it. You have to orchestrate your band, and that’s at least five people for whom you are responsible and have to keep in line. The gigs have to be booked. The setlist has to be created. I put a lot of thought into a setlist. The songs have to flow, and you have to be sure there is a proper mood set. You have to be sure what you are doing fits the venue you are performing. Equipment has to be set up, someone needs to run sound, and you need to be there early for a sound check. Then, you have to know that you can sound check all night, but when that room fills up with people, the dynamic will change, and you have to willing to roll with it. Sometimes, you don’t even get a sound check, or a monitor. Here’s something important: Singers need to hear themselves when they sing. Helps with that pesky staying on pitch thing. People who aren’t singers sometimes don’t factor in how big of a deal that is. They think if the audience can hear you, then that’s is all that is needed…Wrong. I’ve had it happen where I show up to a gig that has “all the sound equipment,” and no monitors. It’s all fine and dandy to have the speakers set up for the audience, but what about the person baring there soul up there on stage? They like to hear themselves too. I’ve also had times where I’ve done sound-check, everything is in order, and then the fella (or lady) introducing you will go over and take it upon himself to adjust the levels, cause for those two sentences he’s saying, he needs to know he sounds good, and then the main entertainment is just out of luck. It’s never malicious, but sometimes makes you wanna grind your teeth to sand. Way I see it though, if that is the worst it goes, you are doing all right. Live music is a hard one to figure. Musicians are notoriously known for being late and unorganized. I do not have this affliction, therefore making it sometimes difficult in an environment where everything is often done by the seat of one’s pants. Truth is, when you get up onstage and the audience responds to what you are doing, there is no bigger high, and monitors be dammed, cause it doesn’t matter anymore. Trying to explain what being on stage feels like to me is like trying to explain the nature of the universe. It can’t be done, and it’s different for everyone, but for me it’s amazing, terrifying, gratifying, exhausting, exciting, and downright euphoric. To get up there, and give it your all, to really let loose, and to have someone tell you that your song, a song you wrote, that came from your heart meant something to them....that’s a feeling akin to what I think you feel when your child is born. It’s your baby, and you want to show it off and hope people love it as much as you do, and when they do, it just ignites the fire all over again. The more established you become, the better the venues and gigs will be. The best gigs are nowadays, when I can show up, everything has been set up, the band is prepared, (sometimes my own, or sometimes a group I sent the music to ahead of time,) and I do a quick sound-check. I talk to the mic and get my levels in my monitor correct and make sure everyone sounds the way I need them to. Then I go back to the dressing room, lounge area, or wherever is set up for the entertainment, have a quick bite, and do a mental checklist of everything. As far as behind the scenes, we have a lot of fun. The band guys become like family, and you joke, and do things on stage and little musical licks that are for y’all. When you play the same songs over and over, you have to keep it fun and interesting. I do get tired after a show, but I love staying after and talking to as many people as I can. These are the people putting food on my table, and inspiring me every day with new ideas and hope, and so I want to meet as many of them as I can. My fans are amazing and so supportive, and they just remind me how worth it all of this is. I am in a lot of hotels, gone a lot away from my friends and family, and that’s a tough thing, but when I get in the studio or on the stage, I’m not thinking about anything but the music. I learn something every time I play. I like to go different places vocally on a song just to mix it up, and sometimes, I even surprise myself with some of the things I do. All of this energy just sort of trickles down into other projects too. I love the singing and songwriting, and have always considered being onstage a kind of persona, so I guess being involved in acting isn’t too far a stretch. I grew up doing commercials and theater and little things like that, but I really started getting into acting after being asked to do some music videos, and most recently, my first feature film. Other than singing, writing has been around from the beginning. As I said, been writing songs for a long time, and wrote short stories and was even published by age eight at Random House along with my father and brother, Keith, so making the transition from songwriter to editor and writer just felt so natural. My IMPOSSIBLE MONSTER anthology book will be out next year from Subterranean Press and I feel grateful they took a chance on lil’ ole me! Being first and foremost a country singer, monster stories may not be the first correlated project that pops into one’s mind, but, I am a Lansdale after all! It’s just that I feel like I’ve got so much inside me that I want to put out there in the world, that it manifests wherever there is an opportunity: singing, acting, or writing. I believe all the arts are connected, and that we all ought to support one another because we all want the same thing: to do what we love and to share our stories and hope that someone wants to hear it or read it. I sure thank you for listening to mine.